What Makes a Creative Workplace? One of my work teams is preparing to build a mega infrastructure project. We are thinking through everything from risk registers to organizational charts. At the core of our discussions is an intention to create a work culture that creatively solves problems, asks the right questions, and empowers team members, among other values. So when I read about Ed Catmull’s book Creativity Inc. about Pixar Animation Studio‘s culture of creativity in Brene Brown’s new book I determined to read it. 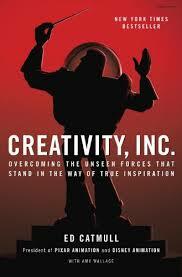 The book is worth reading if only for the anecdotes about creating Toy Story and Up. The book has even more value for leaders who want to build work cultures that reflect a team’s values. 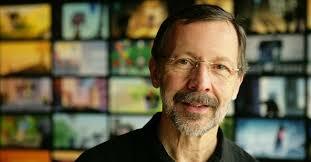 Ed Catmull, author of Creativity Inc and President of Pixar Animation Studios. “…we had made the mistake of confusing the communication structure with the organizational structure. Of course an animator should be able to talk to a modeler directly, without first talking with his or her manager. So we gathered the company together and said: Going forward, anyone should be able to talk to anyone else, at any level, at any time, without the fear of reprimand. Communication would no longer have to go through hierarchical channels.” (p. 64) Beyond the communication structure, the company also depended on candor and honesty. This is described in chapter 5. Then as time went on “more and more people had begun to feel that it was either not safe or not welcome to offer differing ideas.” (p. 277) Ultimately they began addressing this with a day long all-employee Notes Day. Their course correction worked. Ed’s candor about not seeing problems, then seeing them, and then solving them, helps me understand how this neverending process works. The key to making candid communication and problem solving work is described in chapter 6. You have to reduce the fear of failure and to keep critiques from becoming personal. Everyone has to be so committed to the work product that they are willing to put aside hours and hours of work (crumple up whole scripts) for the sake of telling the best story. There are other gems. I will close with the idea of confirmation bias (p. 181). When team members share viewpoints that are counter to the team’s, the human response is to resist or ignore them because they challenge our mental models. This is very similar to “optimism bias” that has been identified as a barrier to success in infrastructure megaprojects. PS. The Afterword also has a lovely tribute from Ed to his friend and business partner Steve Jobs that describes his hero’s journey.